LM150 company profile: Landscape Development Inc. 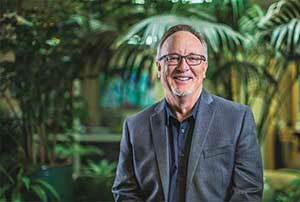 In 2006, Gary Horton’s company, Landscape Development Inc. (LDI), was at the top of its game. With an annual revenue of $93 million, the Valencia, Calif.-based company was thriving and growing by more than 25 percent per year. Then the 2007 recession hit, and like so many other successful firms, LDI found itself mired in a downturn. Revenue fell from $93 million to $22 million by 2012, and payroll numbers dwindled from 1,360 employees down to 220. Home builders backed by Lehman Brothers and other funding sources folded and projects were halted. Horton recalls that every fourth house in many neighborhoods was put up for sale. “It was truly devastating for the human factor and the business factor,” he says. In 2009, Horton was reading The Economist when he happened to see an advertisement for an executive education module at University of Pennsylvania’s Wharton School, which consistently ranks at the top of best business school lists. An avid learner, and the holder of a bachelor’s degree in finance from California State University, Northridge, and an MBA from Loyola Marymount University, it’s no surprise that Horton turned to education to work through his business challenges. “That was what I needed—it would be a big refresher, to really pull my head out of it and get some executive management training at the highest level,” he says. The intensive five-week Advanced Management Program focused on topics such as visionary leadership, creating innovative change and driving positive impact in one’s organization. Horton’s time at Wharton allowed him to take a step back, recharge and rebuild his company to what it is today—a firm that has battled back from $22 million in revenue in 2012 to a projected $100 million dollars in revenue by the end of 2018, with a workforce of around 900. Here are some of the lessons that Horton and his team are putting into practice as they strive to reach their goal. Before 2008, LDI was overconcentrated in the booming housing market. When the housing market crashed, Horton estimates that it impacted the business by 75 percent. “We were good at housing, and we created absolute raving fans in the housing sector, but it was too much work in too confined a market space,” Horton says. The company has now diversified its services, including vertical construction, earth services and a greater focus on maintenance services overall. In 2008, maintenance was $8 million. Maintenance now accounts for $20 million of LDI’s revenue, on its way to an estimated $35-40 million by the end of 2018. LDI has also recognized that acquisitions are a key part of its growth strategy. 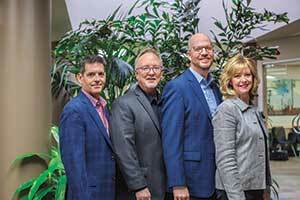 The company acquired a small landscape firm, as well as a $7-million maintenance company. Several more acquisitions are currently in progress. “We’ve realized that these deals are necessary if we’re to hit our goal of $150 million by 2020, while positioning ourselves for better resiliency against the next downturn,” Horton says. Ram Charan, business adviser, author and mentor to the late Apple founder Steve Jobs and former General Electric Chairman and CEO Jack Welch, presented during the Wharton program that the best managers and CEOs spend 40 to 45 percent of their time on their people. Today, LDI works hard to follow suit. LDI Controller Jenny Lunde and Division Presidents Scott Heilman and Tristan Nicholls attended Wharton’s weeklong course in Finance and Accounting for the Non-Financial Manager. LDI’s COO, Mark Crutcher, also completed the five-week Advanced Management Program course in 2017. Part of LDI’s people development has been coaching team members to go above and beyond to serve clients in unexpected ways. “We’ve spent a lot of time, money and effort on very high levels of customer service—tons of human touch elements,” says Horton. Examples of these include providing clients with printed project books as gifts, as well as sending construction project photos and notes to clients every two weeks. Prior to the recession, LDI took its management staff on luxury retreats, sometimes overseas—the idea being that if they could see firsthand what top-of-the-line hospitality looks like, they could then translate those experiences to providing outstanding interactions with clients. 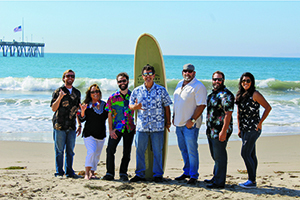 These days, LDI takes its employees on equally luxurious retreats, but much closer to home in southern California, where they can model their customer service experience after the top hospitality brands’ standards, without incurring exorbitant travel costs. Since LDI has made it through two recessions in its 35-year history, Horton looks back and recognizes that time is a precious resource. “Over and again we acknowledge that we only have so much time, we often only get one shot, and we can use our time to the best, just kind of get by, or simply waste it,” he says. We are a dynamic creative outlet for our employees. We are born to grow. We work to maximize profit for all stakeholders, inside and outside of the company. We do the right thing, day in, day out. Unquestioned honesty in all settings. We are tenacious in our personal principles, with managing our relationships and in business practices. We grow and enrich our associates for the benefit of their full careers. We are forever committed to creating “raving fans”—to provide the highest levels of green industry service. We make our clients’ lives easier and bring them peace of mind. Horton acknowledges that this talk of values can sound a bit lofty—but it serves a purpose. LDI uses these values to hire a certain type of employee who believes and embodies these values and helps build a good place to work. Admittedly, not every CEO can or should go to an Ivy League school to learn how to develop people and help their organizations grow and reach their goals. Horton recommends that landscape business owners read business books and take webinars and online courses on topics such as insurance and finance. But for Horton, it was a no brainer, and it’s paid off. Gary Horton says having a good business bank is a key to growth. Seek out a bank that believes in your company and will provide you with financing and terms that reflect your goals, he says. LDI expands into Sacramento, Calif.
Landscape Development Inc. acquires Chateau Landscape Inc.